Hi! I'm Thomas Denmark and thank you for visiting my Patreon! I'm an illustrator and designer. I draw and paint fantasy and mythological subjects. I also design table top games. Here is what you get when you support this Patreon. By joining my Patreon you'll get access to original art, videos, personalized editions, wallpapers, discounts, gaming and RPG supplements, and patron-only posts. And the added bonus of getting to hear me ramble about art, stories, and game design. Sign Up Now and Immediately get Access to these Fantastic Things! Official patron status. Access to my patron-only feed AND my endless appreciation for joining the team. You'll receive early access to illustrations and occasional works in progress for your eyes only before they are published. I develop tabletop games: boardgames, card games, and RPG's. You will get early access, exclusive content, and gaming supplements like adventures, creature books, unique character classes, and more. You get access to layered PSD files, and finished drawings. 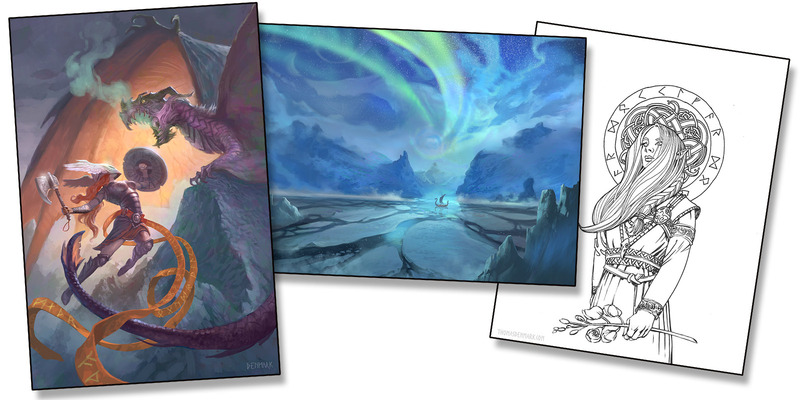 Personal coaching and training in drawing or digital painting. You can propose a topic for this month's drawings. 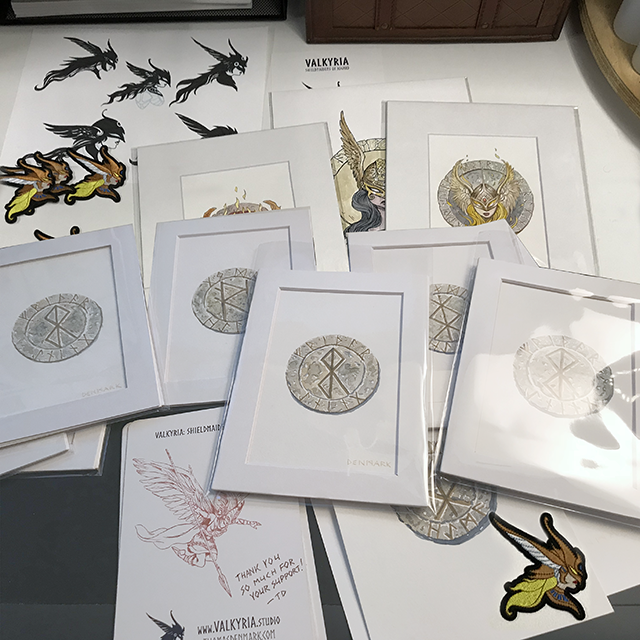 First 25 patrons will get a rune stone painting representing health & prosperity, and a Valkyria iron-on patch. Help us to hit the goal!